In the coming weeks, both LYNX and Votran will be having their next round of service changes. The LYNX changes are effective Sunday, January 27 and Votran's are in February (per Votran's usual mantra, they have not announced a date for these changes, more on that in that section of the post). LYNX Let's start with the LYNX changes first. The changes include minor scheduling changes, routing changes, and a new route. Note, LYNX calls their routes "Links", so I will too. 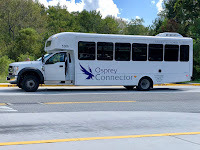 So the other day, I was on my University's shuttle bus, the Osprey Connector and overheard a conversation that got me thinking about this topic. 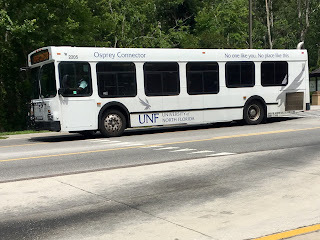 The conversation was between two people already on the bus talking about how they like the new buses better - at the start of this academic year, UNF changed operators for the shuttle service, meaning we got new buses. But their conversation wasn't about the bus being better than the old ones, rather the drivers, in a way.